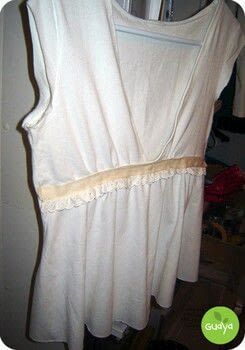 I’ve been fascinated with all the T shirt reconstruction I’ve seen around, so yesterday, I was bored and decided to make my own reconstruction.. 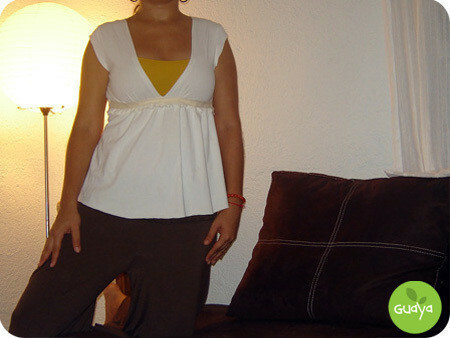 I had a big t shirt (it was my mom’s) I trace it and start cutting… This is how it looks like, I can’t wear tight T-shirts, very often I get stomach inflammation because thanks to digestive problems, and sometimes I look like I’m 4 months pregnant, so this blouse is perfect for those days. Of course I need to perfection it but it wasn’t that bad for my first attempt, what do you think? well I thought I made a tutorial of how I made it.. please bear with me since English is not my first language, and if something needs corrections or do you need more explanation please let me know, this will also be my first tutorial. 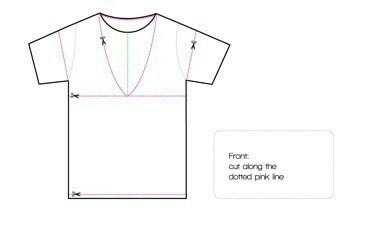 Front: cut along the dotted pink line. 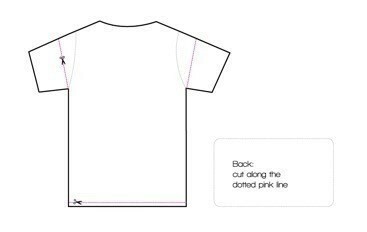 Back: cut along the dotted pink line. 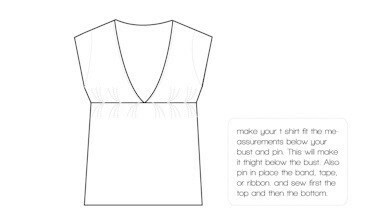 Measure below your bust and mark the pleats in the bust and waist, I just hand sew the pleats. 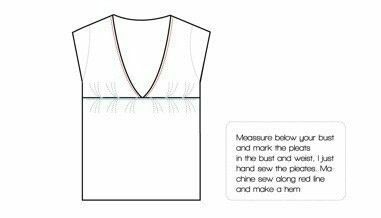 Machine sew along red line and make a hem. Make your t shirt fit the measurements below your bust and pin. 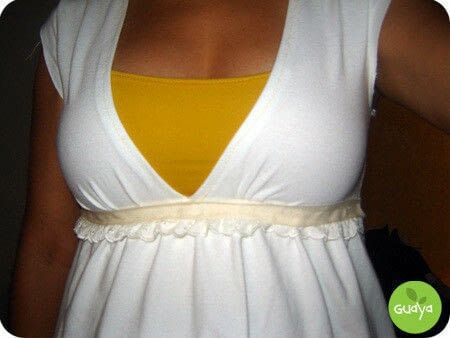 This will make it tight below the bust. Also pin in place the band, tape, or ribbon, and sew first the top and then the bottom. If my shirt is fairly large/baggy, do I need to resize it first or can I just follow your steps? Love the transformation. i shall try it soon. this is really cute. 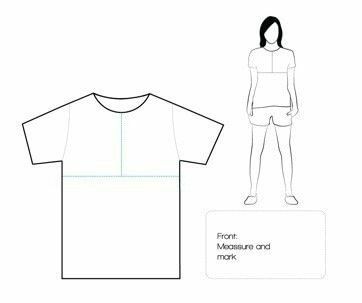 What size shirt did you use?